Read our feature on the Experimental Turk. 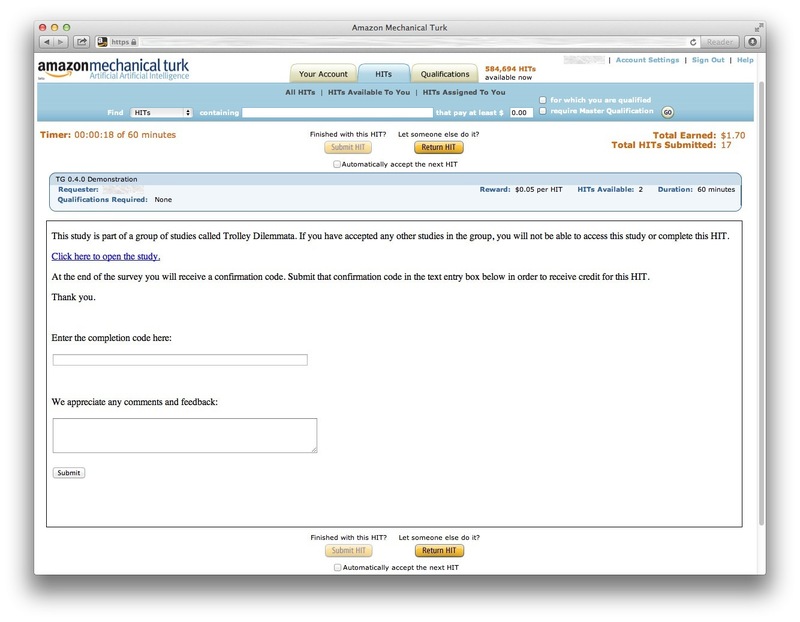 TurkGate, or Grouping and Access Tools for External surveys (for use with Amazon Mechanical Turk), is for researchers that recruit through Mechanical Turk but run their studies on other sites. It provides better control and verification of Mechanical Turk workers' access to an external site. TurkGate was created for the purpose of conducting psychological experiments. 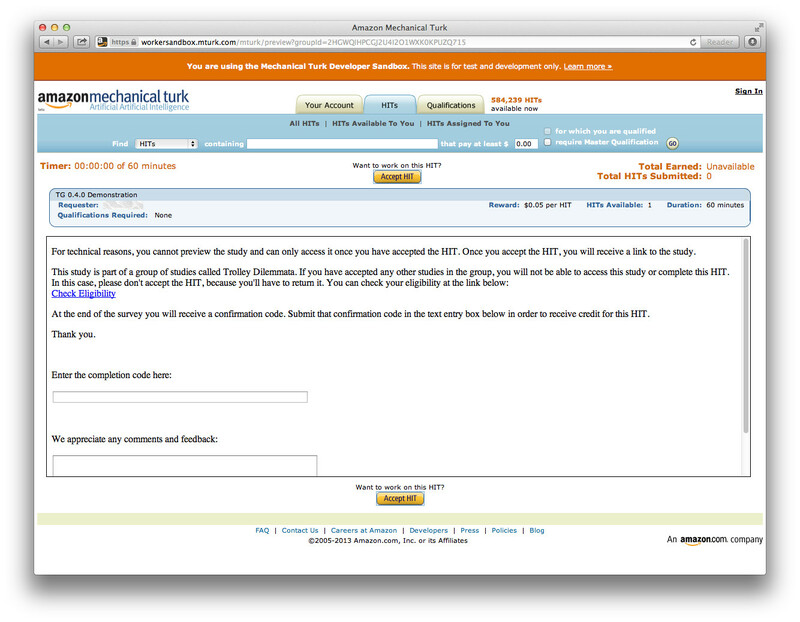 As such, it provides easy-to-use, research-oriented features not included with Amazon Mechanical Turk. First and foremost, TurkGate allows you to group HITs together, such that workers may only access one survey within a group. As soon as a worker has accessed a survey in a particular group, they are denied future access to any survey in the same group. In certain research settings, allowing a participant to access similar surveys (e.g., different versions of a study) is unacceptable. Amazon Mechanical Turk does not offer a solution for this problem. Likewise, exposing workers to parts of your survey prematurely (e.g., previews) may invalidate results. 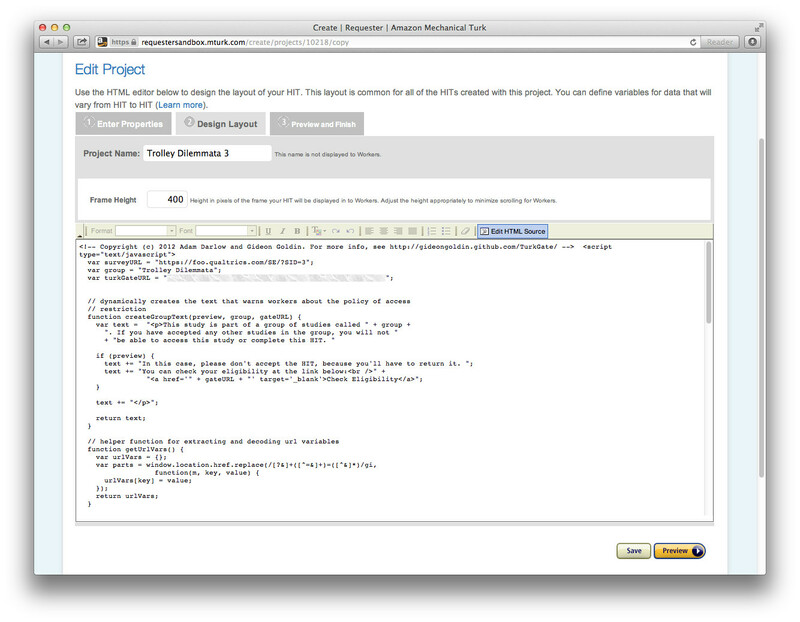 TurkGate enables the absolute restriction of survey previews. It also prevents workers from returning to a survey (even if they closed it accidentally). 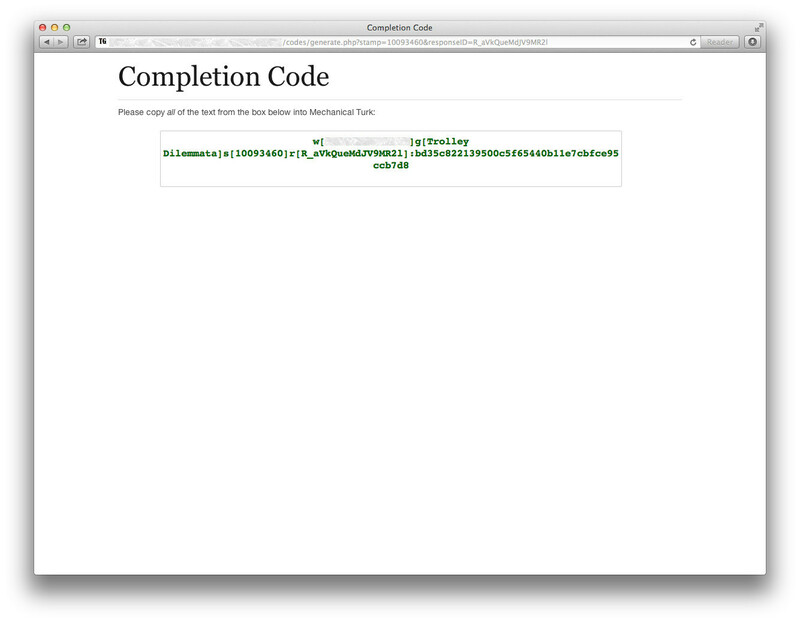 Finally, TurkGate provides a method for assigning completion codes to workers. Rather than using a static code (that can be shared on forums), TurkGate generates dynamic and encrypted codes that can later be validated automatically. After performing a web-based installation, TurkGate initializes a database on your server to track workers, HITs, and groups. Any number of coordinated researchers can share one such installation. The researchers get easy to use web-based tools for creating HITs with TurkGate access control, providing workers with dynamic, secure completion codes, and verifying those completion codes. Just follow the instructions on the Wiki Installation page.